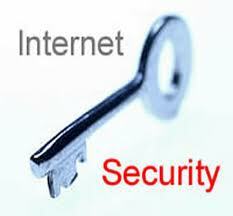 Computer security tips need to be understood by every one who has or uses a computer system. Making sure your computer is secured is one thing every computer owner should be interested in. My recommendations here would be Norton, avast or AVG software programs. Even though there are many good antivirus software out there. These software programs have anti-spyware scanning and firewalls and anti-virus scanning technology. I recommend these ones because, I have used them. Get them on your pc and never leave them off. always update them so that new programme can be updated on your PC to fight with virus or spyware. A firewall wall software is a must have software because it doesn’t easily allow external computers to have access to your files. Always backup your data to avoid being a victim of hard disk crash. You can also Increase Computer Speed And Stability By Removing Corrupted Registry Files With Ccleaner. 1. Include special Characters like #, or numbers. 2. It should at least be up to 6 characters. 3. Combine numbers and letters. 4. Don’t use your name or birthday and even petnames as a password or user names. 5. Don’t store passwords in any file on your computer. 7. Avoid using numbers like, 1234567890 or 09992348541. They can all be guessed.